The Passion Pro, the Hero Splendor's stylish sibling, is now on offer in an even more stylish avatar. The X in its name might hint at off-road virtues but the Passion X Pro is merely a more stylised Passion Pro. 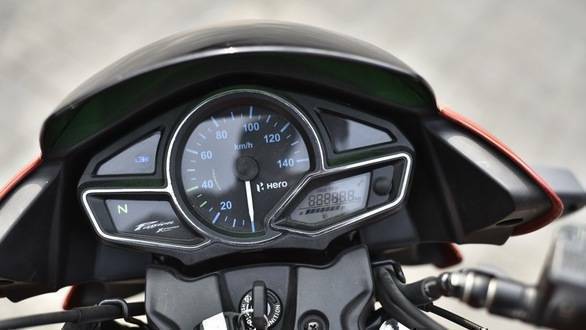 Its powertrain is identical, though there's other significant mechanical changes, not to mention enough and more styling changes to distinguish the two motorcycles apart. In terms of design the Passion X Pro is snazzier looking than the Passion Pro as it gets a different headlamp unit, replete with pilot lamps. 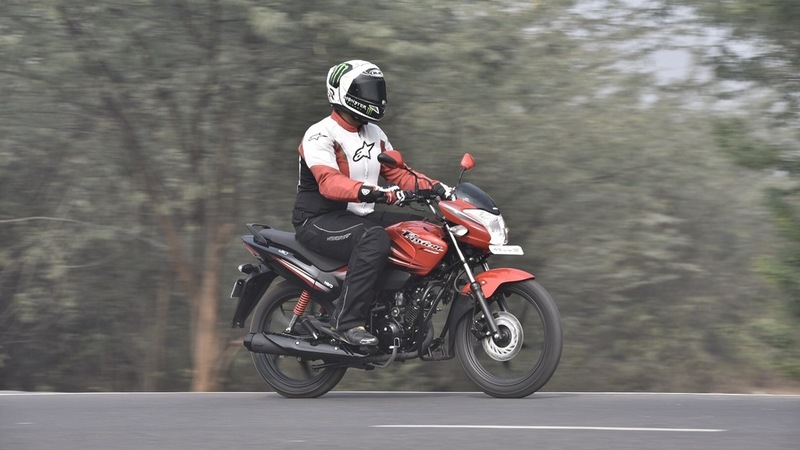 The Passion X Pro also gets a set of tank extensions that add to its sportier looks, though its seat isn't as curvy or sporty to look at as compared to the Passion Pro's. The Passion X Pro also gets an LED tail light and different body panels. 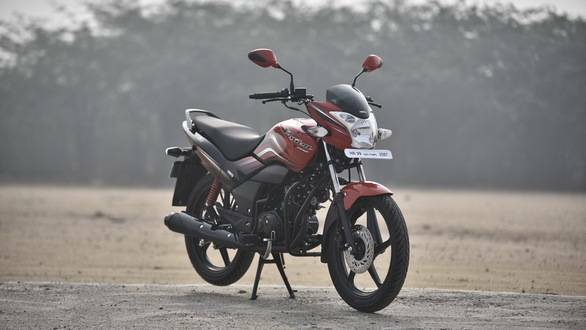 The 109cc, air-cooled single cylinder engine producing 9.5PS and 9Nm of torque and the four-speed gearbox are both identical to the Passion Pro's. The Passion X Pro also features Hero's i3S technology to improve fuel efficiency through its start-stop system, just like its sibling. Talking about differences, the Passion X Pro's rear suspension is stiffer to make it a better handler. The Passion X Pro is also 5mm longer at 1967mm, thanks to its longer wheelbase of 1249mm (the Passion Pro's wheelbase stands at 1236mm), which is courtesy the X Pro's longer swingarm. The changes have also made the Passion X Pro heavier as it weighs 119kg as compared to the Passion Pro's 116kg. Interestingly, the Passion X Pro gets a smaller, 9.2-litre fuel tank as compared to the Passion Pro's 11-litre tank. Another important difference is that the Passion X Pro gets tubeless tyres, while the Passion Pro doesn't. The result of the changes is the Passion X Pro's sportier handling. It feels more adept at slicing through traffic or making quick directional changes. The Passion X Pro though has a bit of vibration come in through the footpegs and handlebar when the engine is pushed to its limits, something I didn't experience on the Passion Pro. Performance isn't different given the identical outputs and obviously, the weight difference of 3kg is too minute to affect engine performance. The stiffer rear suspension means the Passion X Pro trades ride quality for a sharper focus on handling and while there's isn't a huge difference, the Passion X Pro does feel wee bit better when it comes to riding enthusiastically. That apart, there isn't much to differentiate it from the Passion Pro on the road. The Passion X Pro is clearly meant for someone wanting a commuter with a sportier intent than the average 110cc motorcycle. It's powertrain is the same as the Passion Pro's and thus the Passion X Pro should be as efficient if not better, though its better handling does make it more engaging to ride. Given the differences the Passion X Pro should be priced just marginally above the Passion Pro when it goes on sale next month and we expect it to retails at around Rs 55,000.